Accelerated Orthodontic Treatment for your special Day! You've probably wanted to have straighter teeth for a while, but at this stage in your adult life, metal braces are not a choice you are willing to consider. Invisalign® offers you the convenience and flexibility to live life without the hassle associated with other types of treatment. From the moment you start Invisalign® treatment, you'll enjoy a better smile every day. Invisalign® aligners are made of a virtually invisible plastic. In fact, you’ll be surprised to find out how many people won’t even notice you’re going through treatment. That means not having to feel self-conscious about how you look. One thing people may notice, however, is that you’re starting to smile a whole lot more. 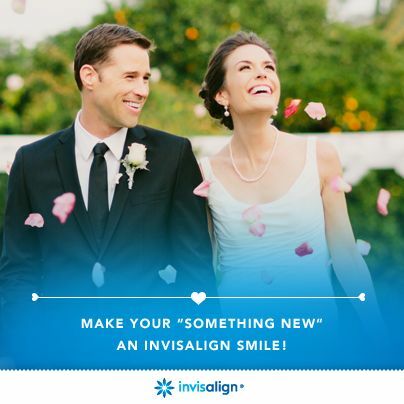 Ask us about our Accelerated Invisalign Treatment for your special Day!